One hundred and forty characters weren't enough space for Microsoft CEO, Satya Nadella, to backpedal from comments he made at a women-in-computing conference today, so he took to his firm's website. "Toward the end of the interview, Maria asked me what advice I would offer women who are not comfortable asking for pay raises. I answered that question completely wrong," Nadella said in an email to all Microsoft employees, which was posted to the site. What Nadella got wrong was his answer to a question at the Grace Hopper Celebration of Women in Computing conference today. "What do you advise to women who are interested in advancing their careers, but they're not comfortable with putting themselves up for promotion or advanced opportunities?" asked Maria Klawe, the president of Harvey Mudd College, and also a member of Microsoft's board. Nadella's answer: "It's not really about asking for the raise, but knowing and having faith that the system will actually give you the right raises as you go along. "And that might be one of the additional 'super powers,' that quite frankly, women who don't ask for a raise have," he continued. 'Because that's good karma. It'll come back. Because somebody is gonna know that's the kind of person I want to trust, that's the kind of person I want to really give additional responsibility to. And in the long-term efficiency, things will catch up." The reaction to Nadella's comments was swift, both from some at the conference and in a resulting Twitter storm. "Lots of murmurs in the crowd as @satyanadella says that if you don't ask for a raise, you'll eventually get fair pay," tweeted Lauren Schaefer, an IBM software engineer who was at the Hopper conference. Shortly after his time on stage, Nadella took to Twitter as well, backtracking from the blowback. "Was inarticulate re how women should ask for raise. 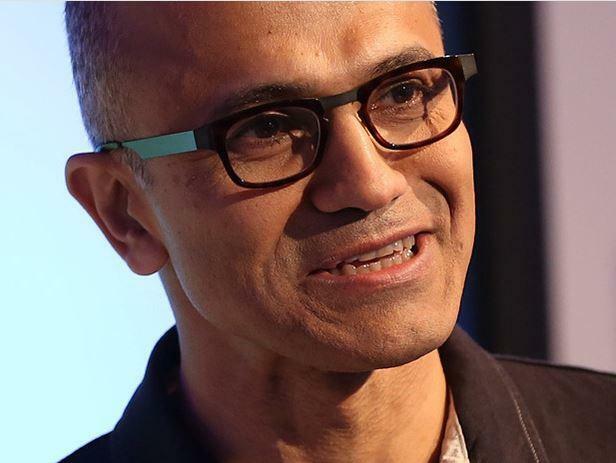 Our industry must close gender pay gap so a raise is not needed because of a bias," Nadella said. But that simply drew disbelief from some who replied or retweeted Nadella. "So you've never asked for a raise or a promotion? Amazing," said Kenneth Kufluk. Later Thursday, Nadella again took to Twitter, saying, "Thanks for the feedback - further thoughts here," and included a link to his email on the Microsoft site. "Without a doubt I wholeheartedly support programs at Microsoft and in the industry that bring more women into technology and close the pay gap," Nadella elaborated. "I believe men and women should get equal pay for equal work. And when it comes to career advice on getting a raise when you think it's deserved, Maria [Klawe]'s advice was the right advice. If you think you deserve a raise, you should just ask." During the question-and-answer between Klawe and Nadella, Klawe had disagreed with the CEO. "This is one of the very few things I disagree with you on," said Klawe, to applause from the audience. "First of all, do your homework. Make sure that you actually know what a reasonable salary is if you're being offered a job. Second thing is, role play. Sit down with someone you really trust and practice asking them for the salary you deserve." The Klawe and Nadella session can be viewed on-demand at the conference's website. The pertinent section starts at the 1:34:00 mark.